This is a perfect time of year to throw a mermaid party! I have loved mermaids since I was a kid! I used to play with The Little Mermaid toys in the bath and try to sing like Ariel. My sister and I got about 10 toys from happy meals at McDonalds. Back in the day when it was a part of our weekly routine to get happy meals. I miss the days of happy meals. My grandmother used to also like to play mermaids with us kids. She would pretend like the hammock was a net and she caught us. We would put pool rings around our ankles to be able to swim like a mermaid. I was basically part fish with the amount of time I swam around in the pool playing mermaid. Sadly I never turned into a mermaid. Luckily, kids still love mermaids and they are never going out of style! 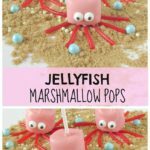 Here are some amazing mermaid party ideas, crafts, and treats from around the web. 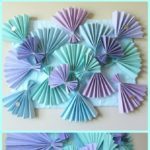 There are so many creative mermaid ideas that you have to try! I love the set up this whole mermaid party and those fish lanterns are too cute! 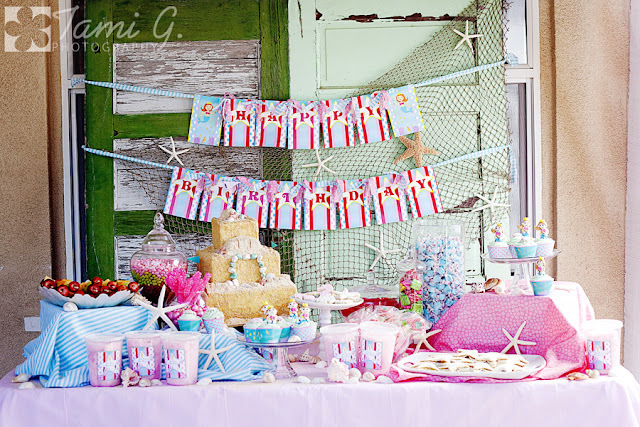 See this adorable party on Uncommon Designs Online. I love the idea of bubble wands for party favors at a mermaid party! 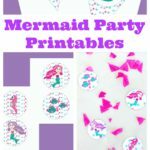 Check out this fun Little Mermaid party and get these cute free printables at Any Tots. 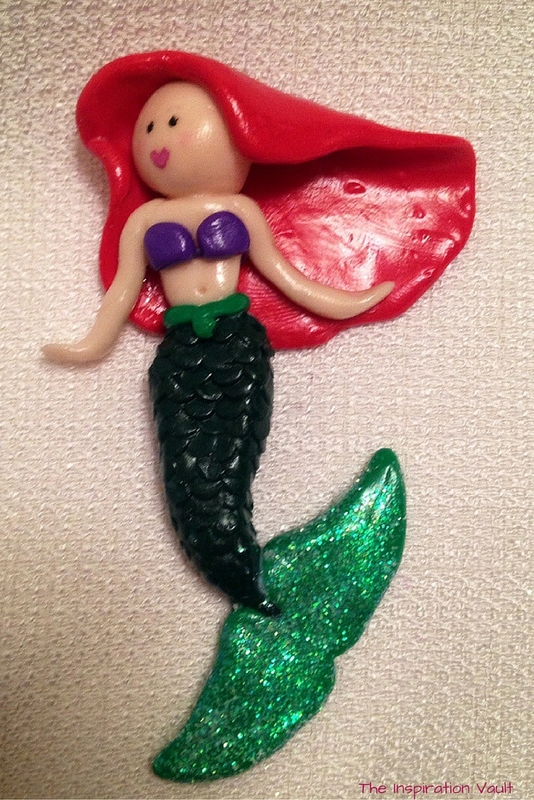 How fun is this polymer clay Little Mermaid?! I just love the sparkly tail! Find out how to make this cutie on The Inspiration Vault! 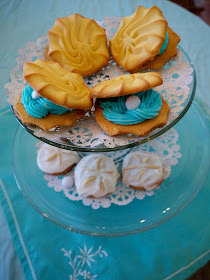 I love these easy sand dollar cookies, find out how to make them at Pennywise Blog! 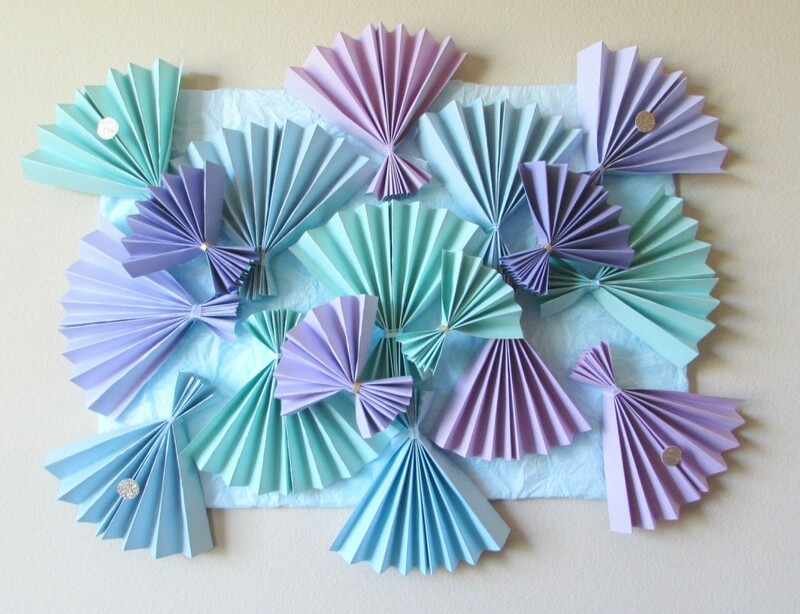 Learn how to make a simple Paper Shell Background for your mermaid party from me! 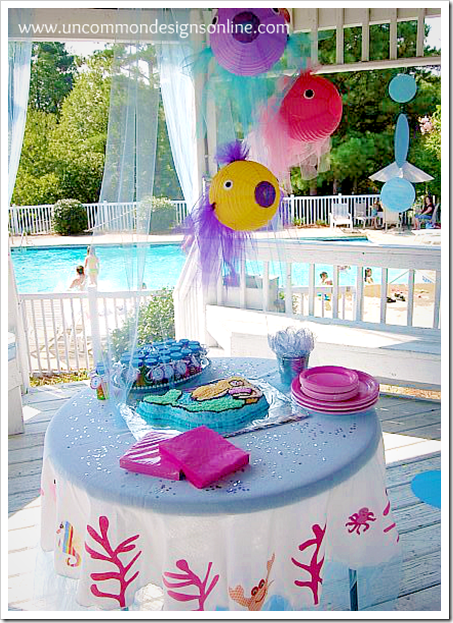 This table cloth backdrop with blue and purple would look amazing at a mermaid party. 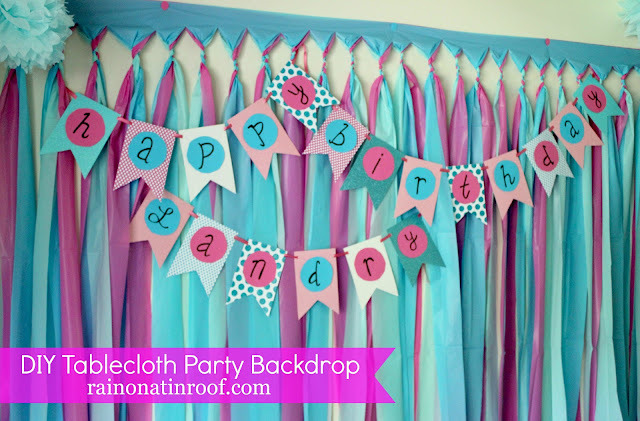 Learn how to make this simple backdrop at Rain On A Tin Roof! 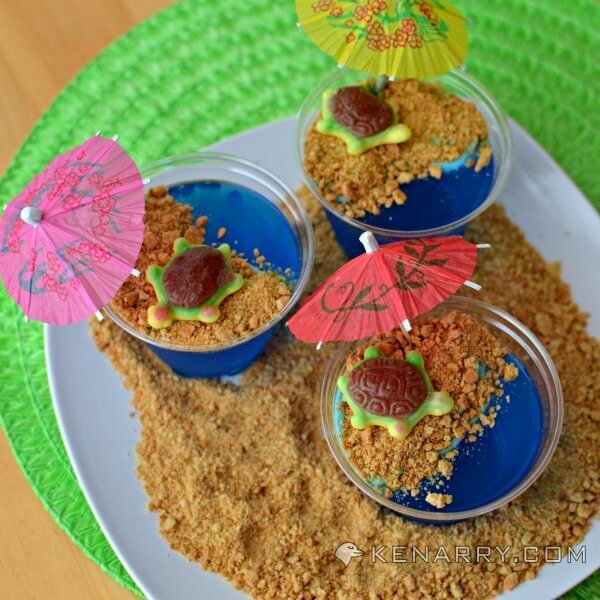 How cute are these turtle beach jello cups for a mermaid party! from Kenarry! 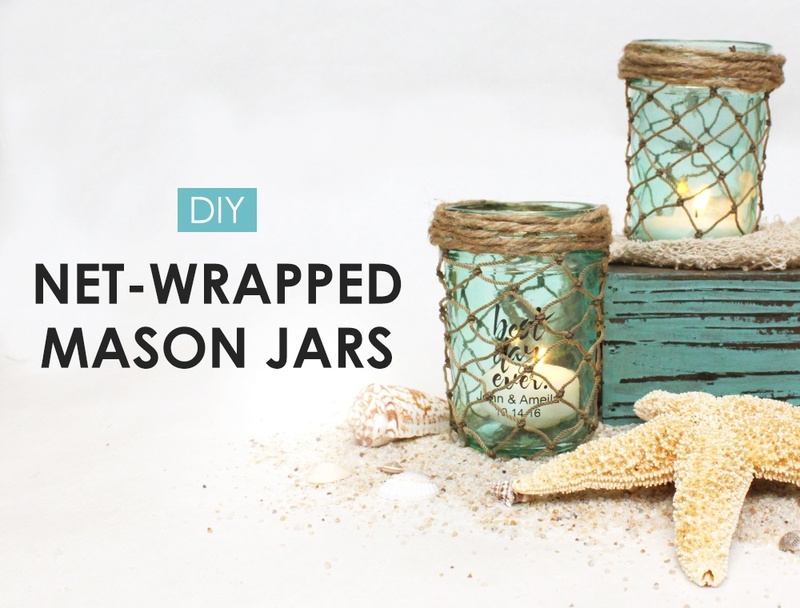 These net wrapped mason jars are so simple and the perfect centerpieces for a mermaid party. 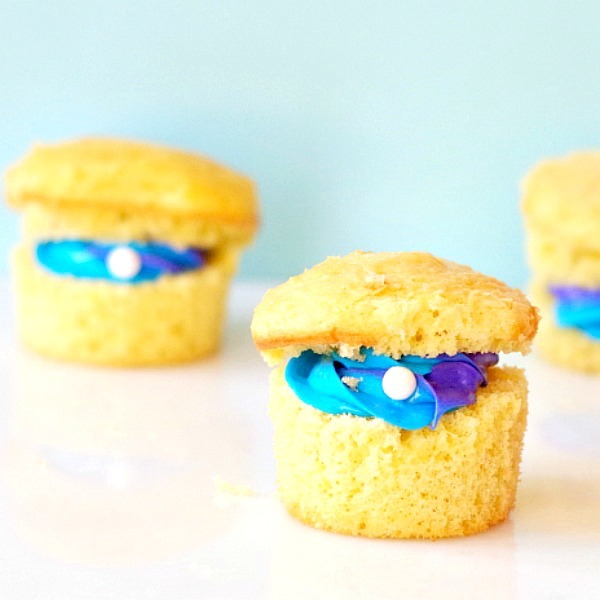 Learn how to make them on Beau Coup! 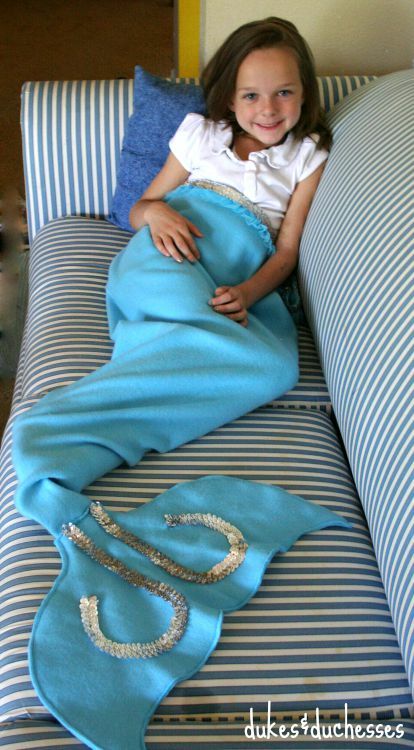 Any kid would love this diy mermaid tail blanket, it’s easy to make too! From Dukes and Duchesses. DIY Mermaid Tiara, can you believe this is made with dollar store materials?! Learn how to make this gorgeous tiara from Debi’s Design Diary! 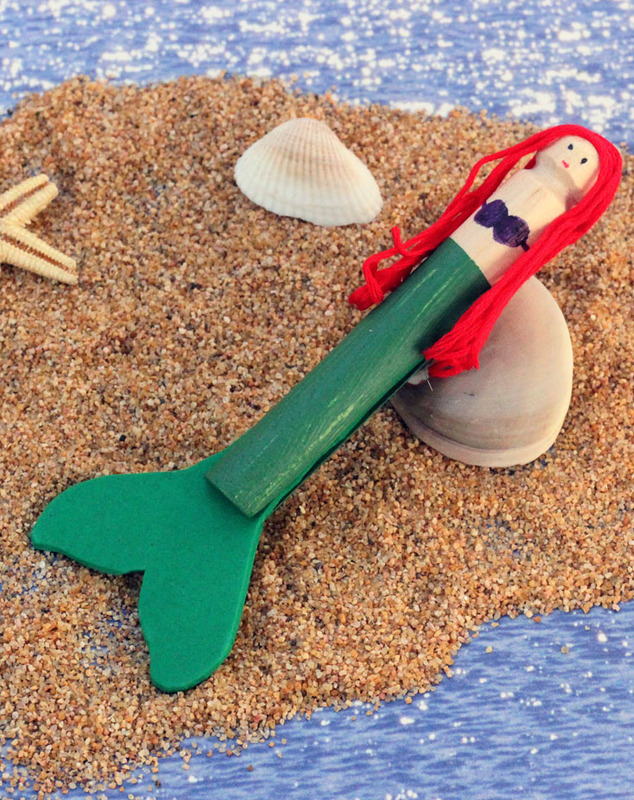 This is such a cute Little Mermaid Craft! From Confessions of an Overworked Mom. This whole mermaid party is adorable! I’m loving the net backdrop and all those sea stars! Found on Kara’s Party Ideas. This crab croissants are so fun! 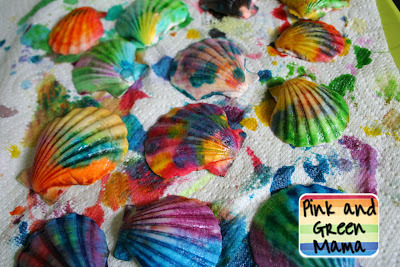 These guys with other great food and mermaid party ideas on What Happens at Grandmas! Simple Clam Shell Cupcakes from me! 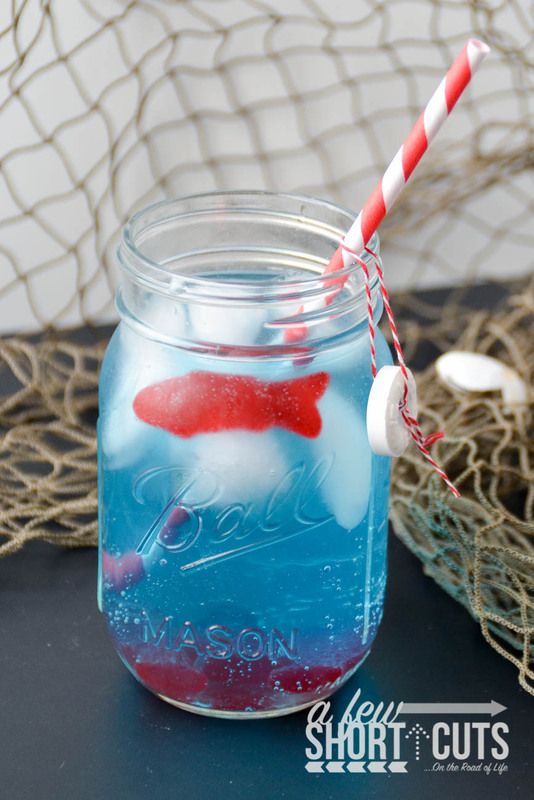 Make these simple ocean water drinks for a fun under the sea drink at a mermaid party! How to on A Few Short Cuts! 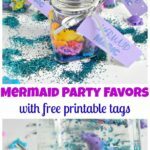 I love all the purple from this mermaid party found on Catch My Party! 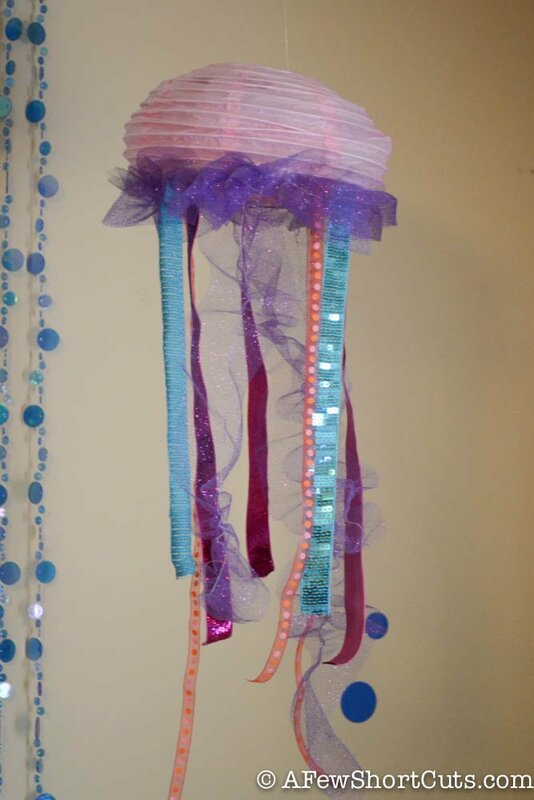 Learn how to make some fun jelly fish decorations on A Few Short Cuts! 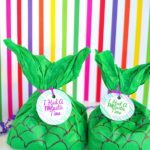 Every mermaid party needs Party Favors, make these simple mermaid tail favors from tissue paper. 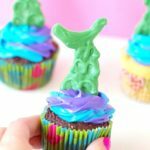 Now you are all ready to be a mermaid with these fun mermaid party ideas, crafts, and treats!